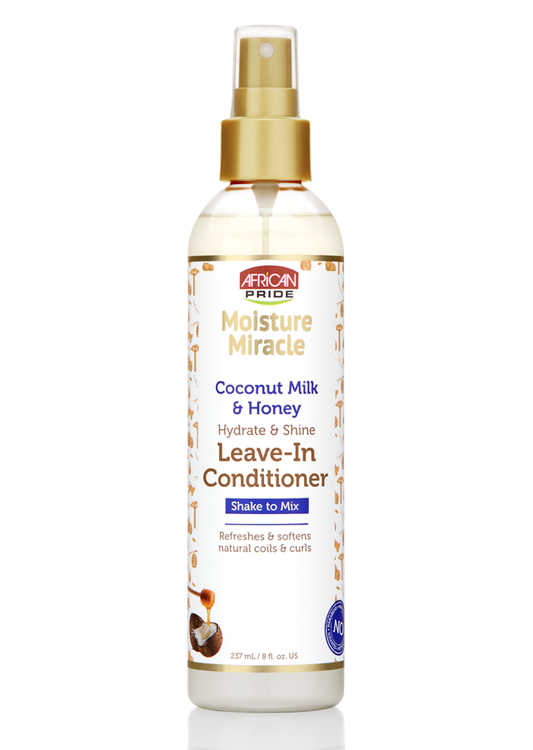 This lightweight hydrating blend of coconut milk & honey replenishes moisture, adds shine and softens, leaving hair manageable and naturally defined. DIRECTIONS: Shake well before using. Spray generously on clean hair. Comb through for even distribution. Style as desired.